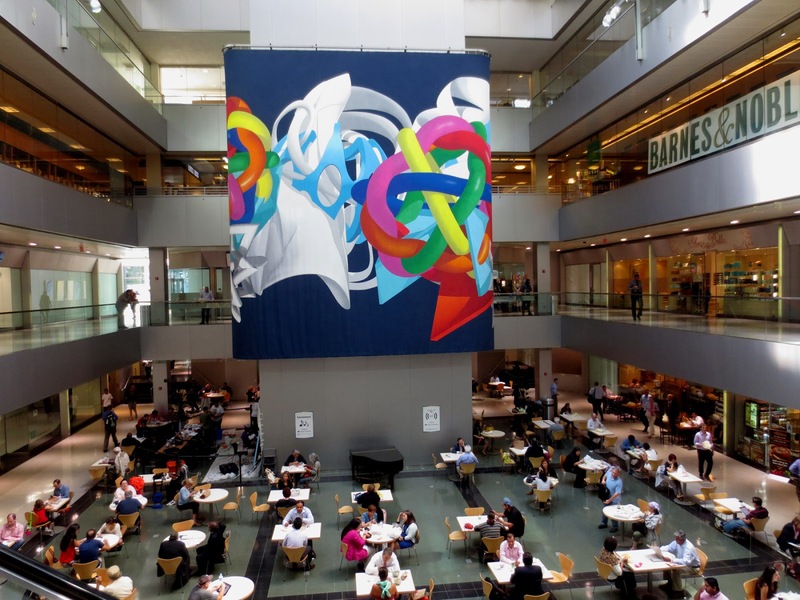 Big Apple Secrets: Citigroup Center, Part 1. Theater beneath the church and 7- story Atrium. Citigroup Center, Part 1. Theater beneath the church and 7- story Atrium. 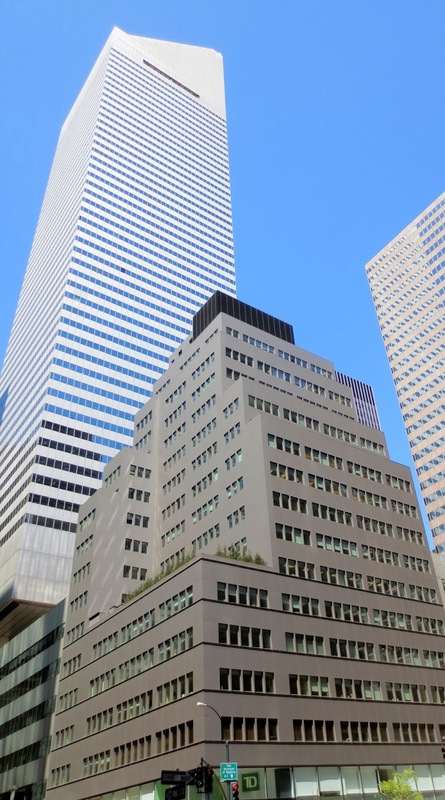 601 Lexington Avenue (Citigroup Center) is the 4th tallest in the city and 3rd tallest in Midtown. The building has a unique slopped roof and is one of the most recognizable skyscrapers on the New York City skyline. 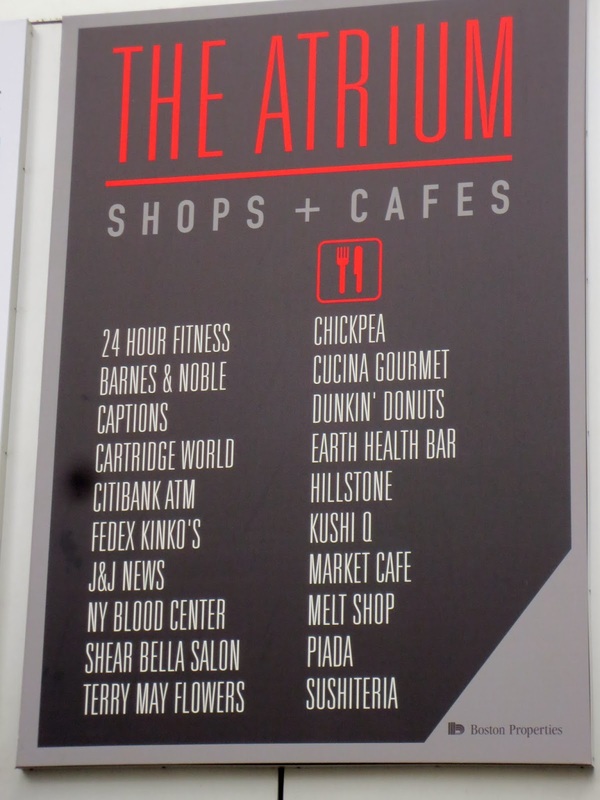 At the base of the building there is a large sunken plaza and the 7- story Atrium with several restaurants, Starbucks, Barnes and Nobles bookstore and 24/7 Fitness. There are tables in the center of the atrium where you can just take a sit, relax and listen to the music - there is live pianist noon to 2 pm weekdays. 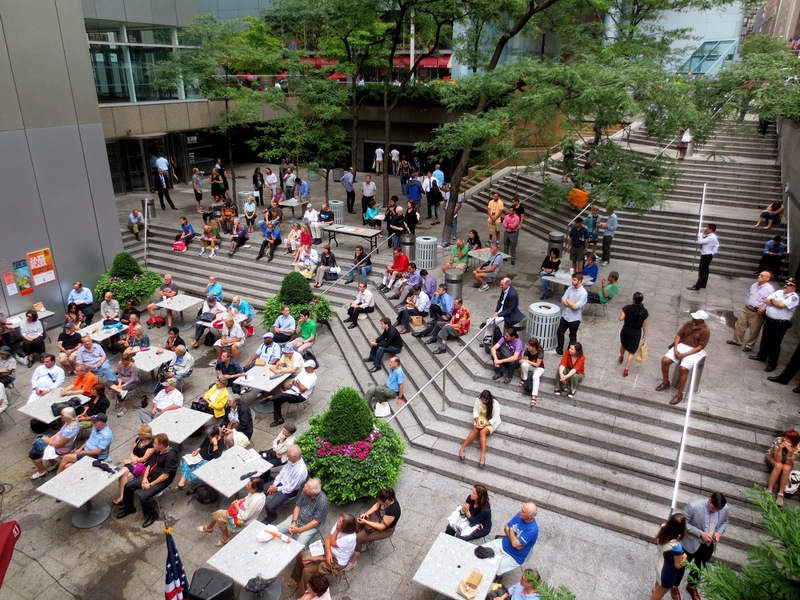 In summer there is music every Thursday in the sunken plaza. This atrium is among the best privately owned public spaces in the city to spend several hours when it is too cold or rainy outside. If you are a member of the gym you can easily spend a whole day without going outside. 24/7 Fitness works 24 hours a day and has a pool, sauna and a steam room. The women’s restroom is located underneath the East 54th Street through block arcade entry; the men’s under the East 53rd Street entry. 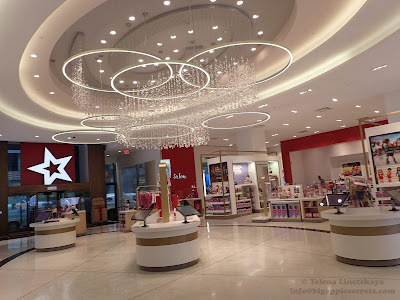 There is even a small gallery owned by POP International Galleries. The northwest corner (one third of a city block ) of the lot was occupied by St. Peter's Lutheran Church. 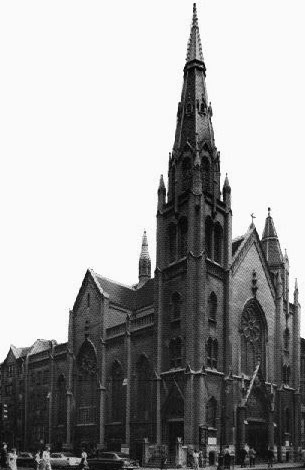 The Gothic-style old church building was built on the corner at 54th and Lexington Avenue in 1903. In the 1960s the church faced financial problems and wanted to sell its property. In 1970, the First National City Bank (later known as Citibank), located just across the street, purchased the property for $9 million. 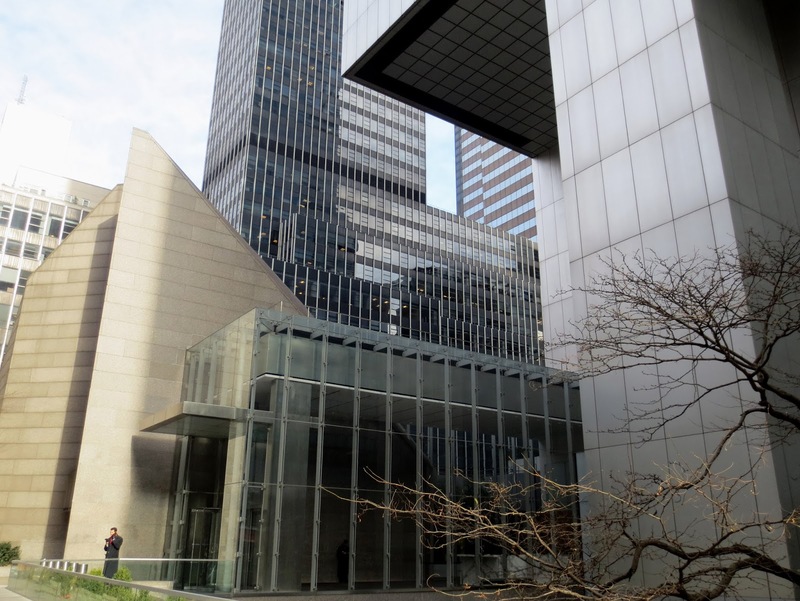 The church agreed to sell the property only if the new St. Peter's church, to be built by Citigroup, had to be a distinctive building, not incorporated in the office tower. The columns were placed at the tower's base center of each side rather than at the corners. This design opened enough space and allowed the northwest corner of the building to cantilever 72 feet (22 m) over the new church. St. Peter's supports an extensive music program: an excellent choir, a Bach festival, a series of weekly jazz and classical music concerts, and a Jazz ministry. The main sanctuary of the church and offices are situated below street level with an off-Broadway theater seating 178 lying underneath that. 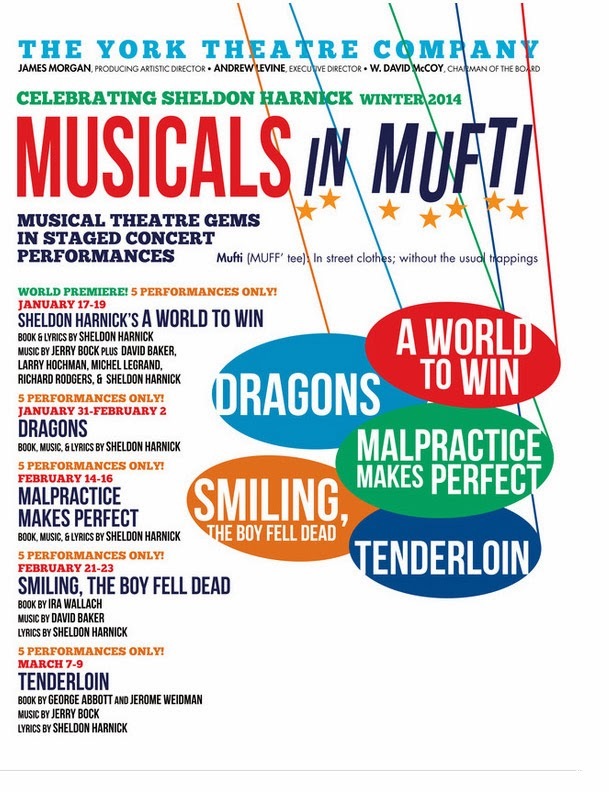 This winter the theater lovers have a chance (January 31 and February 1 only) to see the show “Dragons” based on Yevgeny Schwartz’s play, The Dragon. The Classical Concert Series on Tuesday’s night at 8 PM are free and open to the public. The church in partnership with the Midtown Arts Common, hosts jazz concerts on Wednesday’s at 1:00 P.M.
After the purchase of the property of the St. Peter's church, five more years were needed for Citibank to buy the rest of the block. Construction on the building began in 1974 and completed in 1977 at the total cost of just under $200 million. On its completion the Citicorp building was the seventh-tallest building in the world. The roof of Citigroup Center slopes at a 45-degree angle because it was originally intended to contain solar panels to provide energy. However, this idea was dropped because the solar panels would not face the sun directly. The building has a double-deck elevators - a lift with two cars attached together, one on top of the other. To help stabilize the building and reduce the amplitude of mechanical vibrations, a computer driven harmonic absorber (tuned mass damper- TMD) with weigh of 400 tons was placed in the mechanical space at its top. 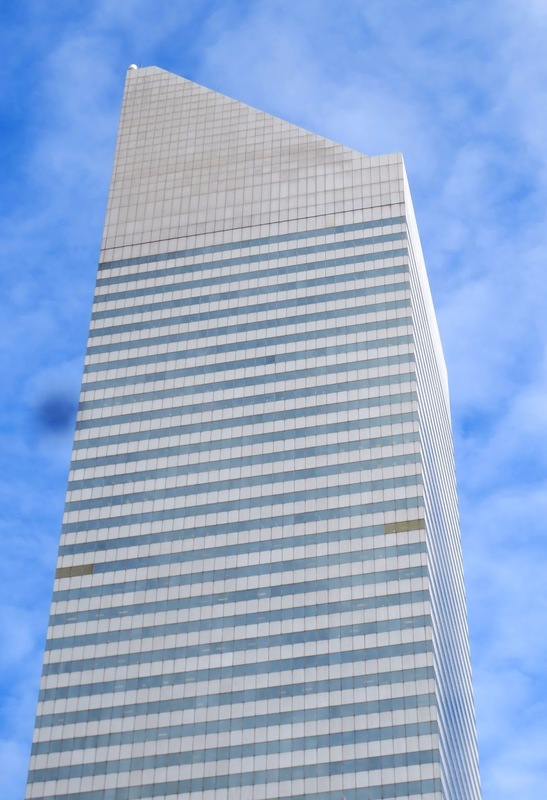 The Citigroup was the second skyscraper in US that used TMD. The first one was John Hancock Tower in Boston. Less than one year later fatal flaw of the Citicorp building was discovered by the structural engineer himself, William J. LeMessurier. You will read about the ’59 story crisis’ (a title of the article from ‘The New Yorker ’ ) in my next post.